Earth Day is April 22. What began in America in 1970 as a day to promote environmental awareness has become a year-round global campaign to protect and conserve the Earth and its resources. How much do you know about conservation? Take this quiz and find out what your knowledge is of Earth Day and the Eco-Friendly efforts it encourages. On average, what is the approximate daily home water use for each person in the U.S.? On average, what percentage of household water is used outdoors for watering lawns and gardens? Approximately what percentage of the water in the world can be used to meet the agricultural, residential, manufacturing, community and personal needs of humans? Approximately how many sheets of 100% virgin copy paper can be made from one tree that is roughly 40 feet tall and 6-8 inches in diameter? In the average home, which of the following uses the most water? Which of the following takes the longest time to break down or disintegrate? Which of the following accounts for the greatest percentage of total waste in the U.S.? In the same amount of time, which of the following home appliances consumes the most electricity? Which of the following accounts for the greatest percentage of a typical home energy bill? 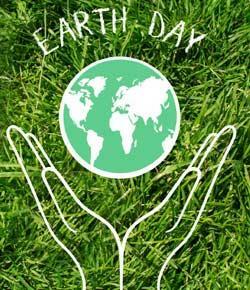 Which of the following U.S. government environmental acts was NOT a result of the first Earth Day demonstrations? The Coolest Earth Day Quiz On The Net!